Square Enix held a tournament for Million Arthur: Arcana Blood today. During the event, a surprise announcement was made for SNK Heroines: Tag Team Frenzy of all games. 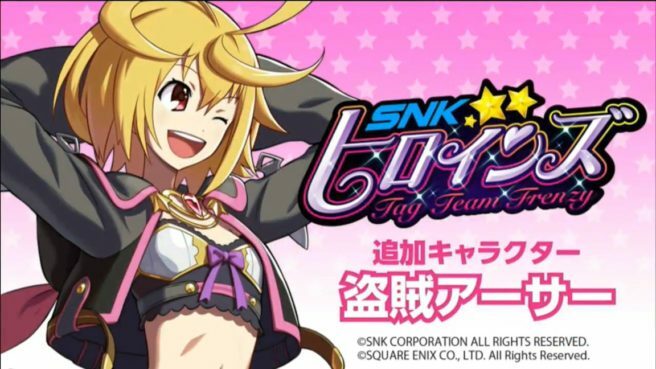 Thief Arthur from Million Arthur: Arcana Blood will be joining the SNK Heroines: Tag Team Frenzy roster. She’ll be appearing as a DLC character.